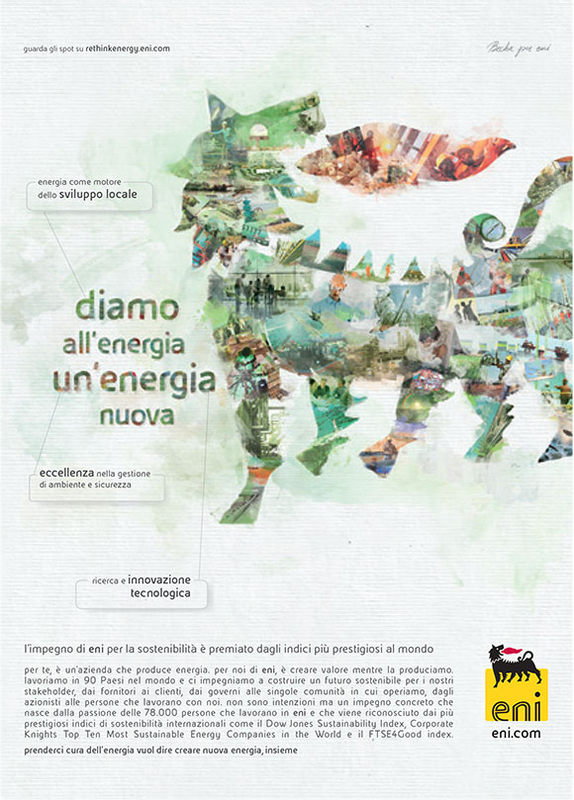 With more than 20 artworks produced over a period of more than two years, BECHA’s ENI ReThink campaign is without doubt one of the most successful and long-standing campaigns of the European energy supplier. 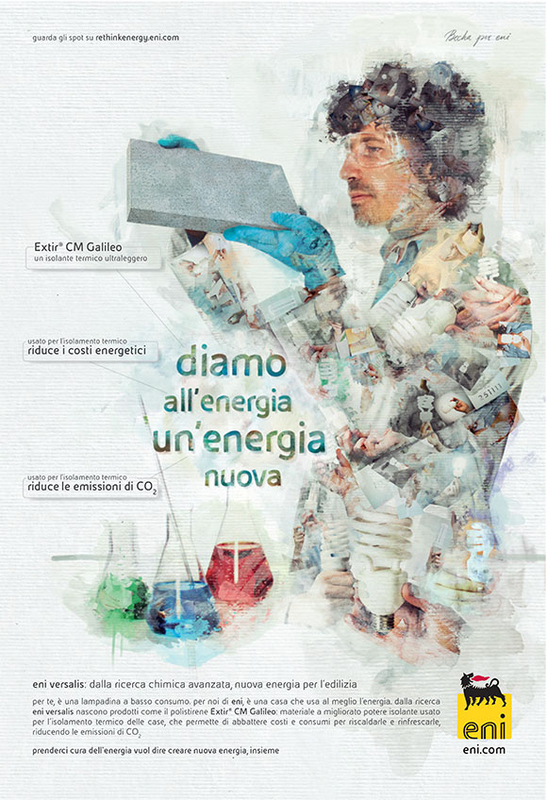 Focusing on promoting a sustainable and more conscious approach to energy consumption both at the supplier and user end, the campaign comprises of different artworks in which the subjects emerge from BECHA’s elaborate use of collage and intuitive paint strokes. 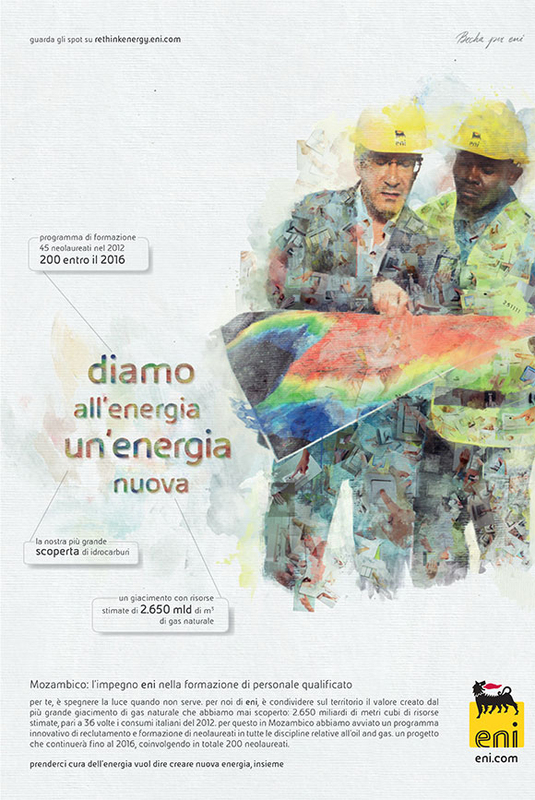 Upon closer inspection each subject reveals an intricate collage pattern of carefully arranged photos, depicting gestures relevant to the campaign’s message such as switching off the light or turning down the thermostat. 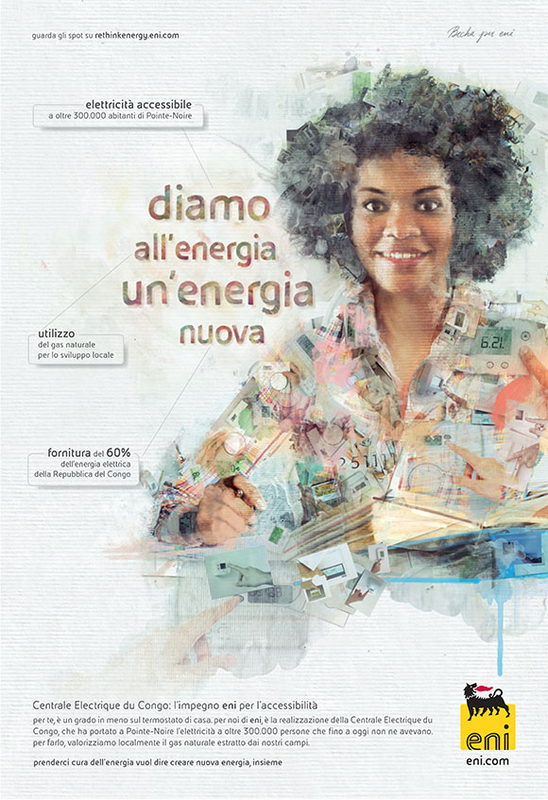 The campaign was seen everywhere in Europe: from billboards to newspapers, from POS to digital. 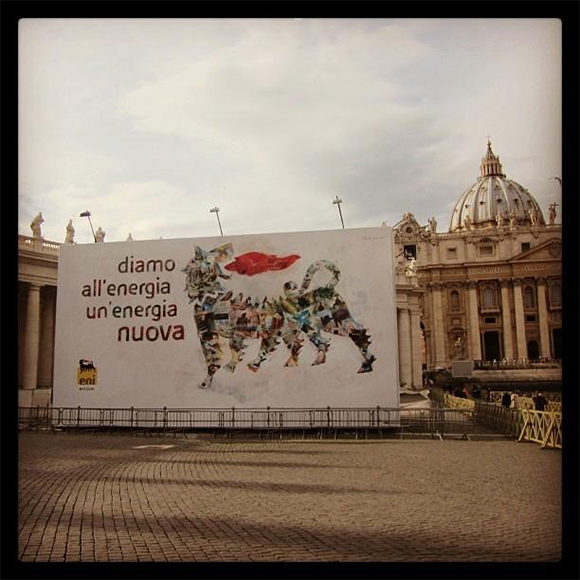 It was even in St. Peter’s Square in Rome as a 5 by 6 meters hoarding!